3D File Formats Included: .3ds (multi format), .dxf (multi format), .fbx (multi format), .max (3ds Max), .obj (multi format); Animated: No; Created In: 3ds max 7, 3ds max 8, 3ds max 9, 3ds max 2008, 3ds max 2009, 3ds max 2010, 3ds max 2011; Geometry: Polygons; Low-poly: No; Materials: Yes; Poly Count: 117821; Rigged: No; Textured: Yes; UV Layout: Yes. High detailed and textured Acura RL 2004 -2008 ka964. With interior which enough for close-up renders. Scene contain textures, Standart Scanline, MentalRay and Vray materials. Keywords: acura, american, auto, automobile, car, drive, engine, honda, ka964, machine, rl, sedan, sport, usa, vehicle, wheel. Best stock graphics, design templates, vectors, PhotoShop templates, textures & 3D models from creative professional designers. 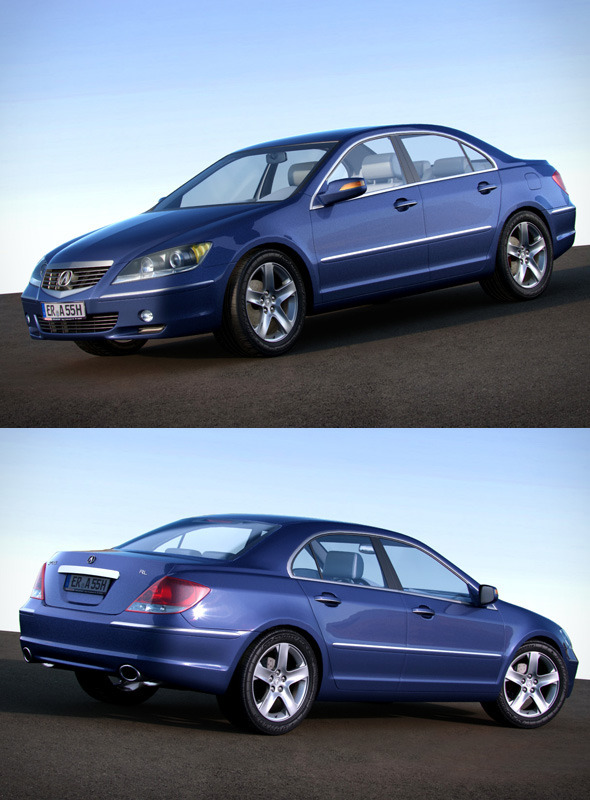 Create 3DOcean Acura RL 2004-2008 ka964 405966 style with PhotoShop, Illustrator, InDesign, 3DS Max, Maya or Cinema 4D. Full details of 3DOcean Acura RL 2004-2008 ka964 405966 for digital design and education. 3DOcean Acura RL 2004-2008 ka964 405966 desigen style information or anything related.